Susie has been a part of 4 Corners Community Nursery since 1995. She has been a parent, substitute, assistant teacher, lead teacher and since 2005, Director. Susie graduated from the University of Maryland with a B.S. in Textile Marketing and is certified through Montgomery Child Care Association for early childhood education. Her career began in the textile industry and after her children were born made a career change to work with children. Susie lives in Silver Spring with her husband and two children. April Almeroth has been a 4CCN parent for several years. She began substituting and later joined the staff full time. She is an active volunteer at her children’s Elementary school. April has a Bachelor’s degree from Southeastern Louisiana University. She enjoys fishing, camping, baseball, and gymnastics. She is married with two children and resides in Silver Spring, Maryland. After nearly 17 years with at least one preschool child in the home, Carla has decided she would miss it too much. So the only option is to begin working at her favorite nursery school, 4CCN! After getting a BS in Child and Family Development from Cal Poly, San Luis Obispo, she taught for about nine years both in private preschools and public elementary schools. Since her kids were born, she has been mostly a stay-at-home mom with a little substituting and directing the children’s program at her church. Carla is a California girl but has lived happily in Maryland for over 16 years with her husband and 5 children. She enjoys traveling, vegetable gardening and long walks in the woods or around her neighborhood. Mrs. Ficco has worked at 4 Corners Community Nursery School since 2000. She has worked as an assistant in the two-year-old program and currently working with the 3 year olds. Mrs. Ficco also co-teaches in 4CCN's optional science program for four-year-old students. Prior to coming to 4CCN she was an active volunteer in her daughters' elementary school classrooms and a co-operative parent during her daughters’ preschool years. Before her daughters, Ms. Ficco worked as an RN after receiving her degree from the University Of Maryland School Of Nursing. Mrs. Ficco lives in Silver Spring with her husband and is the mother of two daughters. In her free time she enjoys baking, step aerobics, Zumba classes as well as spending time with her family. Mrs Schaefer has been teaching at 4CCN since 1984. She started as a substitute teaching assistant and quickly became a permanent member of the staff. For the last twenty some years she has been a lead teacher for one of our 3 year old classes, as well as teaching 4CCN's after school science program. Mrs. Schaefer completed the 64 Hour course in Early Childhood Education from Green Acres School Adult Education Program and has completed coursework in Early Childhood Education from Montgomery College. During the summer she works as the Aquatics Director at Forest Knolls Pool, where she has taught swimming lessons for 23 years. Her new personal organizing business, Making Space, has kept her busy as it has grown. Mrs. Schaefer lives in Silver Spring with her husband; has 3 grown sons and 5 grandchildren. She enjoys swimming, yoga, gardening and sewing. Lisa Carbin taught preschool for 16 years in Norman, Oklahoma before moving to Silver Spring in 2016. She's from Vermont, and got her Bachelor's degree in Early Childhood Special Education from Vermont College of Norwich University. Lisa was a substitute teacher at 4 Corners before being hired as a teaching assistant in Nanci Schaefer's 3s class. She has two adult sons, a husband who's a meteorologist, and a geriatric cat. Her hobbies include gardening, cooking, reading, and travel. Allison Nadelhaft has been part of the 4CCN community since 2011 as a parent, substitute teacher and an assistant teacher. Mrs. Nadelhaft has a Bachelors and Masters in Public Communication from American University and has completed the 90 hour course in Early Childhood Development and Curriculum. After years working for non-profits and being a stay at home mom, she is excited to help your children play, grow and learn in such a warm environment. She feels there is something special about preparing children for elementary school and looks forward to teaching and caring for your children. Mrs. Nadelhaft lives in Silver Spring with her husband and two sons. In her free time, she enjoys reading, exercising and spending time with family and friends. Helen Lyon has worked at 4 Corners Community Nursery since 1998. She is an assistant teacher for 4 year olds and will be teaching the ¾ year old class. She first became involved with 4CCN when her own children attended preschool. She often volunteered in their classes and substituted for their teachers. Through her initial experiences, she found that she loved working with children, reading to them and interacting with them. When offered a position she jumped at the opportunity and decided to pursue it as a career. She has recently completed the 90 hour Child Care Certification class as well as 120 hours of continuing education and plans to continue at 4CCN as long as she is contributing to an integral part of the children's growth, development and making a difference, serving as an inspiration while providing them with the basics needed to move ahead. Sara Goberdhansingh joined the 4CCN staff in 2016. Having previously been the parent of a 4CCN student and a room parent, she agreed to sub in January 2016. She was instantly hooked. Her love of themed projects, arts and crafts, and reading books made joining a preschool a natural fit. Previously, Mrs. G was the Director of Marketing for a technology consulting firm in Georgetown and also a stay-at-home Mom. She earned her BS in Public Communication from American University and will be lead teacher certified after the completion of her 90 hour course in Early Childhood Education from Howard Community College in early 2017. Mrs. G lives in Silver Spring with her husband, daughter, and pets. In her spare time she enjoys lifting weights, watching endless repeats of "The West Wing," and being Team Mom for her daughter's All Star Cheerleading team. Kelly grew up in the Silver Spring area. She graduated from John F. Kennedy High school and achieved her college degree in Early Education. She was a Director of Child Care program primarily at Rolling Terrace Elementary School for thirteen years. She took a hiatus from employment while rearing her own four children and returned to the work force when she accepted an offer as assistant teacher at Four Corners Community Nursery with the four year old program. Kelly is also currently employed with Montgomery County Police Department (crossing guard). In her spare time she enjoys the beach, shopping, arts and crafts, and supporting her children on the athletic fields. Ashley has worked at 4 Corners Community Nursery since 2007. Prior to 4 Corners, Ashley worked at The Langley School in McLean, Va where she worked in the 3 year old program and the Kindergarten. Ashley received her Masters of Science in Education from Johns Hopkins University. Ashley is the Mother of two school aged girls. Chela Bodden has been a 4CCN parent since 2015. She started as a substitute teacher in 2017 and joined the staff in September 2018. Chela has a doctorate in Spanish Language and Literature from Columbia University. After teaching college and later working as a baker before becoming a stay-at-home mom, she is excited to return to the classroom to learn and grow with the children. Chela enjoys game time with her children, reading, music, cooking and baking. She lives in Takoma Park with her family. Jodi is thrilled to begin teaching at 4CCN in 2018 after subbing in 2017-18. She received her Master’s degree in Elementary Education from the University of Florida. She is excited to return to the classroom after staying home with her four children for many years. In the summer, she is the assistant director of a sleep away camp in Maine where she has the opportunity to work with children ranging in age from 7 to 16, along with their young adult counselors. 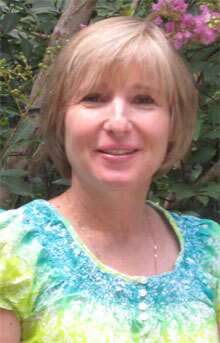 In her free time she enjoys exercising, traveling, and watching her children play soccer and football. Laura started with 4CCN in 2017. As a parent she volunteered as co-chair of our semi-annual Consignment Sale. Laura has an undergraduate degree in Business and a masters in accounting. She has two children and lives in Silver Spring. Please note: 4CCN staff members are given days off for personal or sick leave. In their absence, a substitute is called as replacement. Substitutes are either former 4CCN staff or past/current parents/caretakers of 4CCN children.